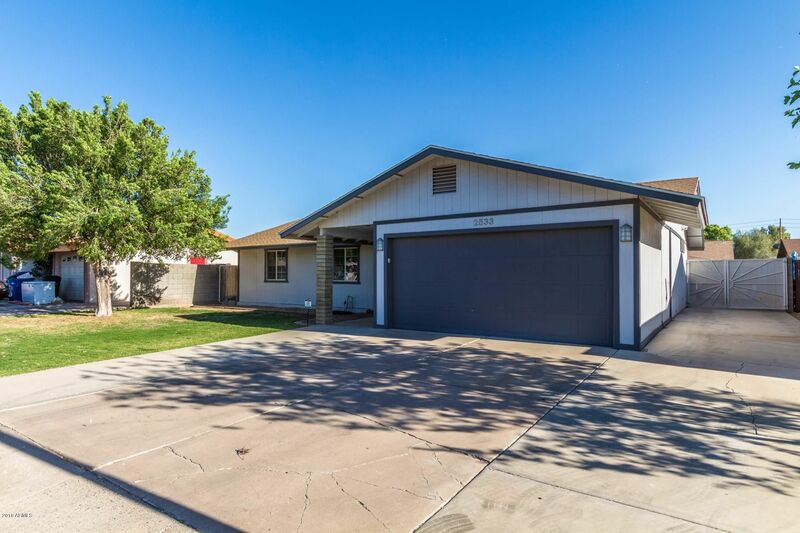 Check out this lovely home in Mesa! This three bedroom home has a two car garage, green grass and RV parking with a gate to the backyard. Spacious great room with access to a dining area and kitchen. Glass top stove with built in microwave, oodles of counter space, time saving plumbing fixtures. Indoor laundry with washer/dryer hook up, two guest rooms have access to a full bathroom, master bedroom closet has french doors and built in shelves, and a 3/4 bath. Enjoy green grass in the backyard, stay cool with a ceiling fan installed in the covered patio. This one is sure to go fast, see it today!